Blazé Milano - Exclusive to MATCHESFASHION.COM, Blaz é Milano's tonal-grey If And When Pow blazer is an elevated take on a classic style. 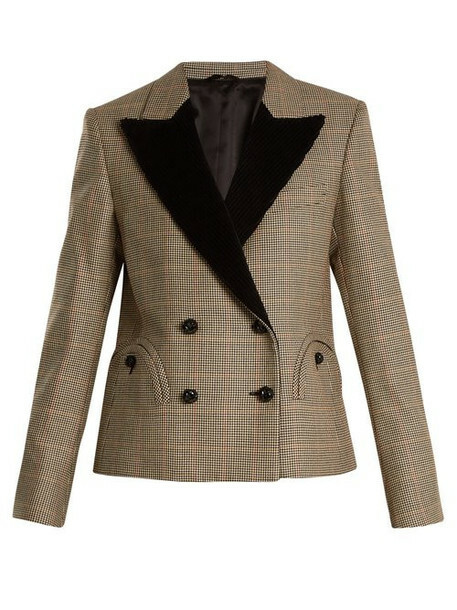 This double-breasted style is crafted in Italy from a Prince of Wales-checked wool, with contrasting black velvet notch lapels. It's finished with button-fastening curved pockets. Team it with a blouse and jeans for dinner dates.